With excitement building over the 71st Cannes Film Festival that starts May 8, India & You brings to you yet another issue focused on the film festival. From Nandita Das’ sophomore film ‘Manto’, and Sanket Kulkarni’s short film ‘#505’, to Stanley Hector’s budget film ‘Midnight at Two’ shortlisted for the side competition, we cover how despite making it to Cannes, Indian films have been missing from the main competition for long. Filmmakers and industry insiders like Prakash Jha and Nandita Das shed light on the changing trends in Indian cinema, censorship and more. 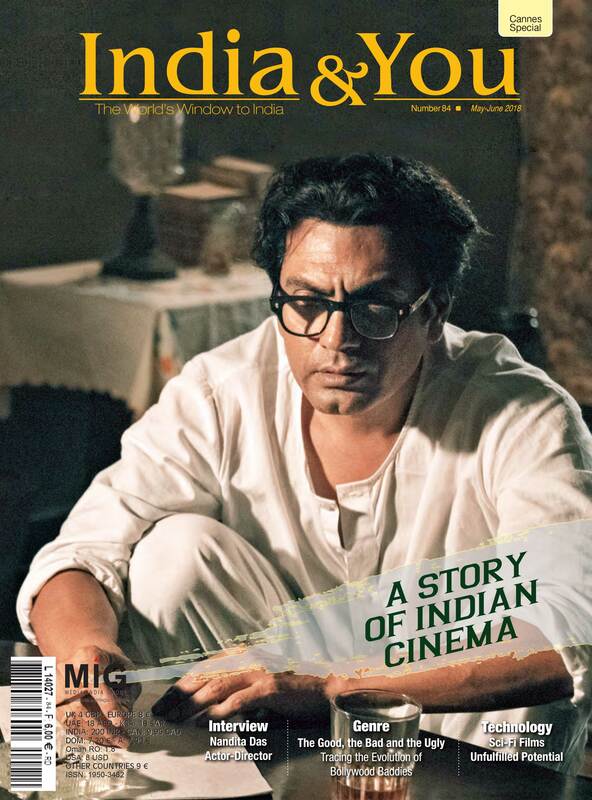 Take a closer look into the world of filmmaking in India as we pack the issue with interesting anecdotes from the Indian film industry. Get an insight into the world of filmmaking in India as various film cities in the country offer a studio tour. Providing backdrops for many memorable Indian classics, these studios are dressed up to look like somewhere else. Visit these sets and see for yourself; how many scenes can you tick off? Over the past few years, the remake rage has bitten Bollywood. Not just film titles, but old song tracks are also being recreated with fresh beats and raps. Though for some artists and producers it’s a win-win, the formula doesn’t guarantee box office success. Also, while some see it as lack of originality, others think of recreation as a skill.